For those of you who have been with us since the beginning, you might be wondering what Ben has been up to. Ben, if you recall, is the bearded scientist in this picture and the one who started Mark2Cure with the Amazon Mechanical Turk projects. In addition to trying to make information more accessible and useful with his efforts in the Gene Wiki / Wikidata projects, Ben has been working on another project on the side—he’s trying to build a portal to unite various citizen science projects, serious games, and STEM education games. You see, here in Andrew’s research group (Andrew’s the one in front of Ben in the picture) at the Scripps Research Institute, we work hard at building services that makes it easier for researchers to harness data. 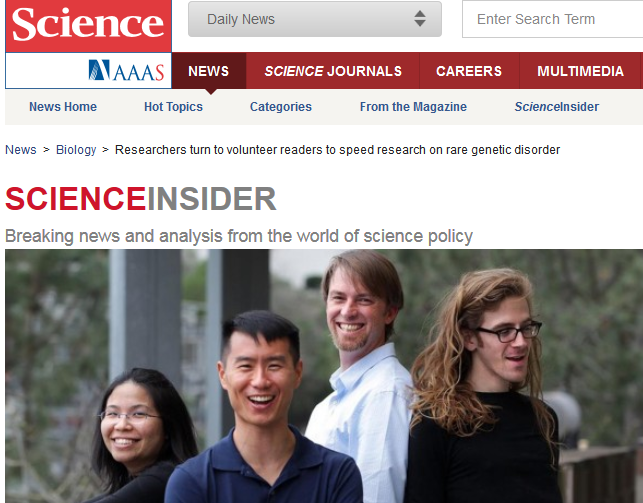 Chunlei and Andrew built BioGPS.org which is an easy-to-use portal to access all gene-related things; and Chunlei developed the MyGene.info and MyVariant.info services so researchers can easily access millions of gene and variant annotation data. When I say that we’re interested in making things more accessible to scientists, I meant all scientists—citizen scientists included! That’s why Ben’s been working on this new portal so that citizen scientists can easily access their favorite citizen science projects and games. Of course, we at Mark2Cure know that citizen scientists are the experts when it comes to bringing projects to life. What would Mark2Cure be without your participation? (Hint- probably a very boring, bug-ridden mess). Hence, we need your help with Science Game Lab. As citizen scientists and the experts on what makes citizen science endeavors worth participating, we need your feedback. We need to know what projects you would like to see added to the portal and who (if you have any contacts) we might reach to add the project. Science Game Lab has mechanisms for awarding points and badges, so if you’d like to be acknowledged for your contributions to a citizen science project which lacks those features, tell us about that project and who we should contact to get it into the portal. The portal hasn’t launched yet (only two projects have been integrated so far), but you can add your name to the email list to be notified when it’s ready. 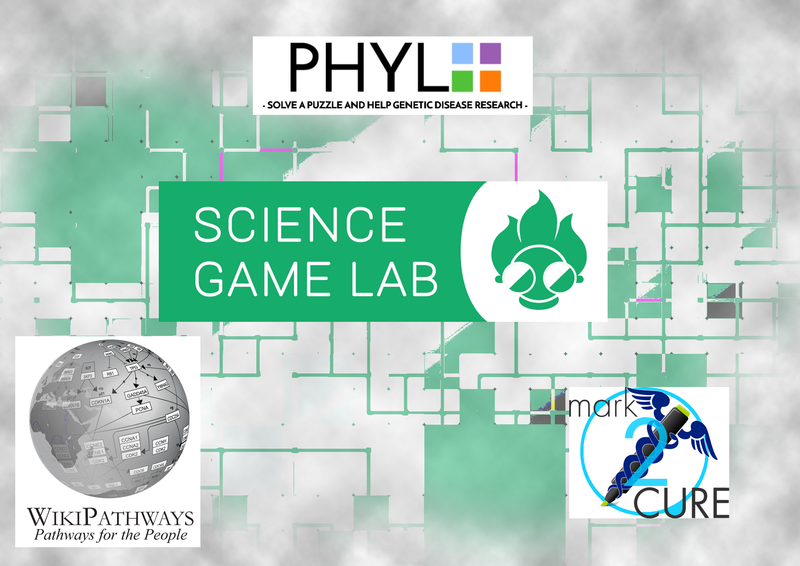 If you would like to suggest a citizen science project, serious game, or STEM educational game to be added to the site, please fill out this form.